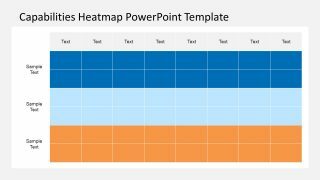 The Capabilities Heatmap PowerPoint Template is an amazing set of slides for project management assessments. 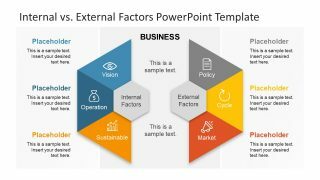 The PowerPoint of capabilities heatmap offers an appealing view of essential business strategies and considerations to the management. 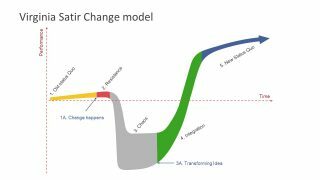 The capability mapping itself is a process of modeling the functions of business to reach the ultimate objectives. There are various project management tools available to assess what business does. For example, assessing multiple dimensions, vendor evaluation, merger analysis, project priority, human resource and more. Hence, there is no limit to the type of business capabilities heatmap one can generate. This template of heatmap shows a 3×8 data table with multiple shades of two colors. Moreover, a special feature of template provides users with useful color pallet on the left side of the slide. This pallet has all the colors use in capabilities heatmap. 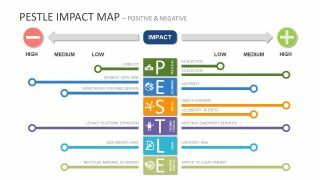 Therefore, users can present their evaluations graphically by choosing colors from the pallet. 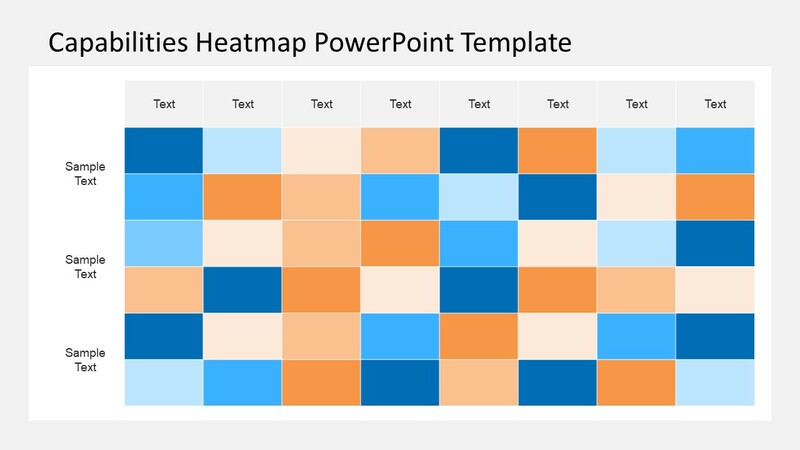 The Capabilities Heatmap PowerPoint Template has two data table slides. The first one shows how capabilities heatmap actually looks after the assessment process. Whereas, the second slide has a sample which presenter can use and edit accordingly. Further, the users can add other shades of the given color to establish priorities. 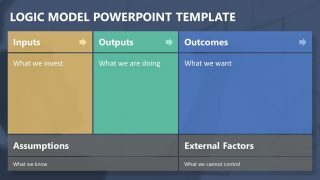 To do so, click PowerPoint shape and choose the desire dark/light shade in the shape fill drop down menu. This template is ideal for organizations working on number of projects and require progress reports. Although, the executive audience need summary overviews and aggregate scoring presentations. At the operation level however, business architects, managers, and product owners require details. These details must be quick and comprehensive, such as, interrelationships, detail scoring and data to perform what-if analysis. The business model presentation of capabilities heatmap has editable slides which is reusable in many different presentations. Furthermore, the flat vector shapes of PowerPoint are high resolution images and resizing these will not affect the quality.